PRODUCT: BASF MasterKure CC 1315 WB (formerly Kure 1315), WATER BASED, SEMI-GLOSS, 26% SOLIDS, CONCRETE SEALANT, DUSTPROOFING & CURING AGENT. 5G PAIL. PRICE/PAIL. 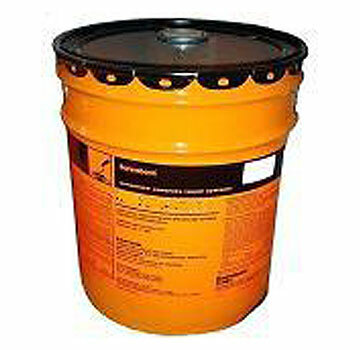 For 6 pails or more it can be drop shipped from factory. DESCRIPTION: Kure 1315 is very low VOC, tranparent, 26% solids, and SCAQMD VOC compliant. Features a blend of acrylic polymers in a water base for curing, sealing and dustproofing FRESHLY placed and finished concrete floors. It contains no oils, saponifiable resins, waxes or chlorinated rubbers. It complies with ASTM C1315 Type-1 Class-A. Its semi-gloss finish provides good UV resistance and gloss retention.